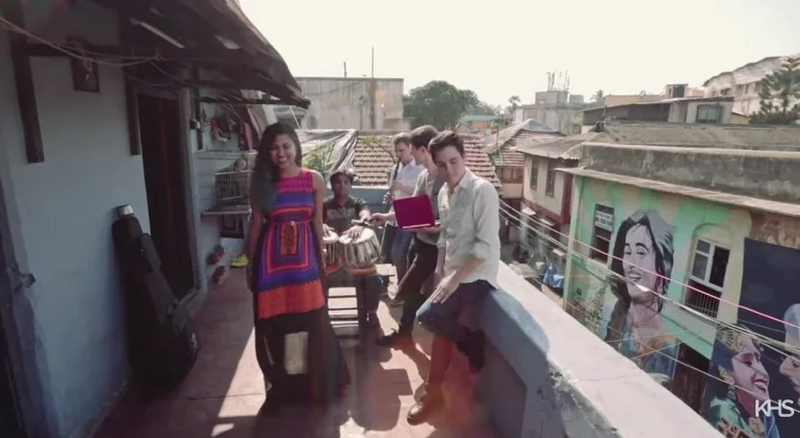 YouTube stars Kurt Schneider, Sam Tsui breaks the internet with Shankar Tucker and Vidya Iyer. King of Pop, Michael Jackson’s 1979 classic hit “Don’t Stop ‘Til You Get Enough” has been mashed up with a 1998 Bollywood hit track “Chaiyya Chaiyya”, which was featured in the film “Dil Se”, starring Shah Rukh Khan. Not only has the resulting video gone viral, garnering more than 430,000 views in its first four days, it has also impressed Khan, who tweeted the link of the video to his 13 million-plus followers. “@phanogen: https://t.co/jbd6YcGmJa @iamsrk @KurtHSchneider made an amazing mash-up of Chaiya Chaiya. How capital is this….enjoyed it. “Chaiyya Chaiyya” was originally composed by Oscar and Grammy winning composer A.R. Rahman, who’s also known for his work on 2008’s “Slumdog Millionaire”. The track which was featured in a sequence in “Dil Se” which saw Khan and actress Malaika Arora Khan dancing atop a moving train. “Chaiyya Chaiyya” also made its way into Hollywood when it was used in the opening and closing credits of Spike Lee’s 2006 movie “Inside Man” starring Denzel Washington. The Michael Jackson mashup project came about after YouTube stars Kurt Hugo-Schneider, Sam Tsui, Shankar Tucker and Indian vocalist Vidya Iyer met up at the second YouTube Fan Fest in Mumbai in March. The “Chaiyya Chaiyya/Don’t Stop” mashup video starts with Iyer’s upbeat rendition of “Chaiya Chaiya” followed by Tsui’s brilliant take on “Don’t Stop”. The video follows the artistes as they travel around Mumbai, highlighting the city’s latest landmark, the Bandra-Worli sealink. Have a good week ahead folks! Bryna spends most of her time obsessing over cars and sports, particularly football while keeping updated with the entertainment scene. From raves to rock concerts, Bryna listens to all sorts of genres and is also a fan of horror and action movies.